The Slow Food Russian River Book Group will be discussing the book Four Fish: The Future of the Last Wild Food (The Penguin Press, 2010), by Paul Greenberg. To RSVP email the Book Group at sfrrbookgroup@gmail.com. The book group is open to anyone who can read, loves cooking a dish, and likes a good conversation. You don’t need to be a member, although – of course – we hope that with time you will become one. Location in Sebastopol with RSVP. The Book Group meets the first Thursday of the month, 7 – 9pm. It’s a convivial dinner. Please bring a dish for four and a beverage. Paul Greenberg is the James Beard award-winning author of the New York Times bestseller and Notable Book Four Fish: The Future of the Last Wild Food and American Catch: The Fight for our Local Seafood. A regular contributor to the New York Times’ Opinion Page, Magazine, Dining section, and Book Review, Greenberg lectures widely on seafood and ocean sustainability. His lecture venues include Google, the United States Senate, the United States Supreme Court, the Monterey Bay Aquarium, the New England Aquarium, The Culinary Institute of America, Harvard University, Brown University, Williams College, Yale University’s Peabody Museum, Chefs Collaborative National Summit, SeaWeb’s Seafood Summit, and Paine & Partners annual shareholders meeting. A guest and commentator on public radio programs including Fresh Air, All Things Considered, and The Leonard Lopate Show, Greenberg is also a fiction writer. His 2002 novel, Leaving Katya, was a Barnes & Noble Discover Great New Writers selection. In the last five years, he has been a National Endowment for the Arts Literature Fellow, a W. K. Kellogg Foundation Food and Society Policy Fellow, and a writer-in-residence at the Bogliasco Foundation’s Liguria Study Center near Genoa, Italy. In addition to his fiction and nonfiction writing in the United States, Greenberg has worked extensively overseas with long-term assignments in Russia, Ukraine, France, the Caucasus, Bosnia-Herzegovina, Serbia, the West Bank/Gaza, and many other locations around the world. His essays have been published internationally in The Times of London, The Observer (UK), The Age (Australia), Süddeutsche Zeitung (Germany) and The Globe and Mail (Canada). Four Fish is forthcoming in Korea, Taiwan, Russia, Greece, Italy, Spain, and Germany. The four fish we’re overeating — and what to eat instead. TED Talk, Oct 2015. Articles in the New York Times. • Face Book Page Four Fish by Paul Greenberg. 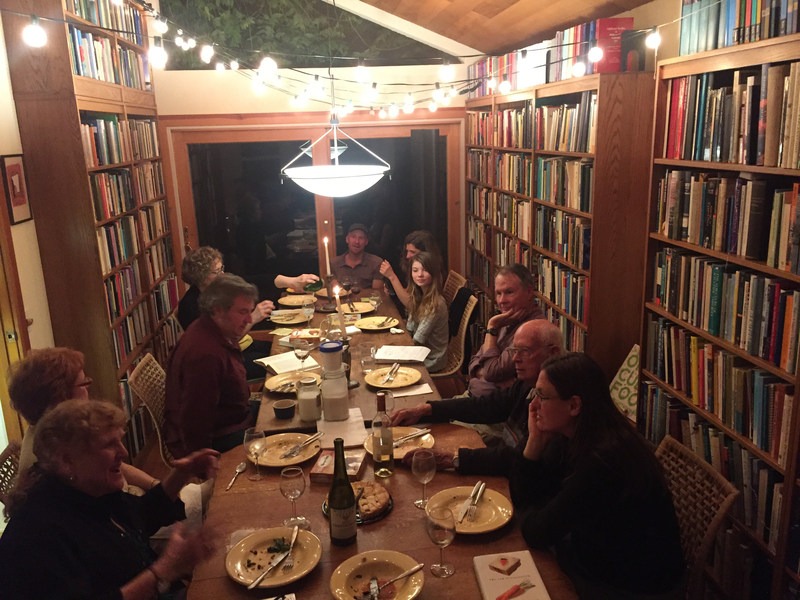 Book Group: Consumed: Food for a Finite Planet, by Sarah Elton.